Blue Point Brewing Company releases Wet Hops Experiment, the protagonist of “The Wet Hop Experiment”, an exploratory, fresh-hopped beer narrative featured in Long Island Pulse Magazine‘s October issue, on Friday, 10/14 (3:00PM). Wet Hops Experiment, Blue Point Brewing Company’s first beer utilizing wet hops, was brewed with one hundred pounds of fresh hops (Amarillo and Simcoe) from HopUnion, a vertically-integrated hop purveyor based in Yakima, Washington. 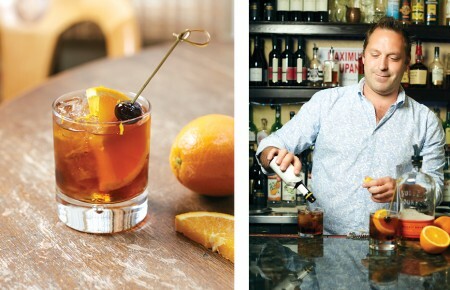 And Long Island Pulse Magazine was present to document the entire process. 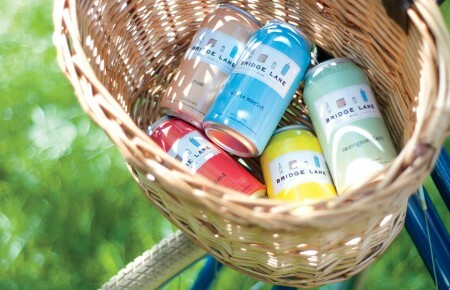 To celebrate the release of Wet Hops Experiment on Friday*, Super Neat Beer Adventure, Yes!! 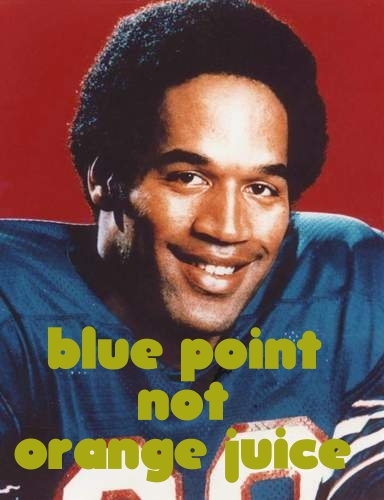 presents “Drank BP Not OJ!,” a non-orange juice photography contest. The first individual to email us a self-portrait with a non-orange juice item will receive a complimentary growler of Wet Hops Experiment, courtesy of Blue Point Brewing Company! Offer is valid for Friday, 10/14 (3:00PM – 8:00PM) only. 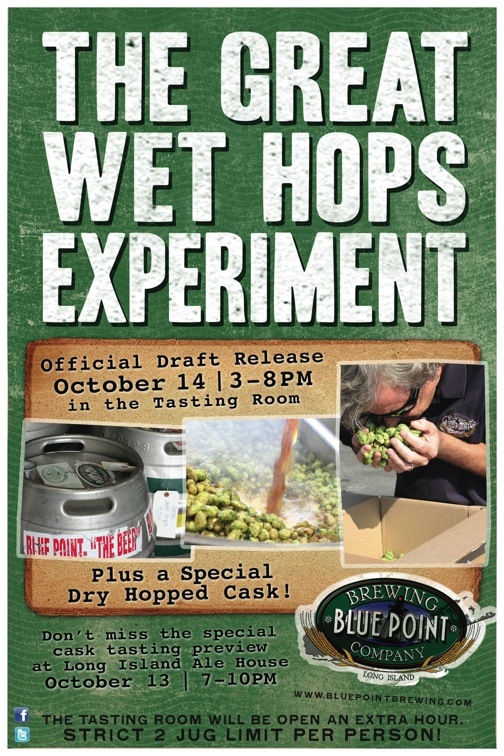 *Long Island Ale House will preview a cask of Wet Hops Experiment on Thursday, 10/13 (7:00PM).